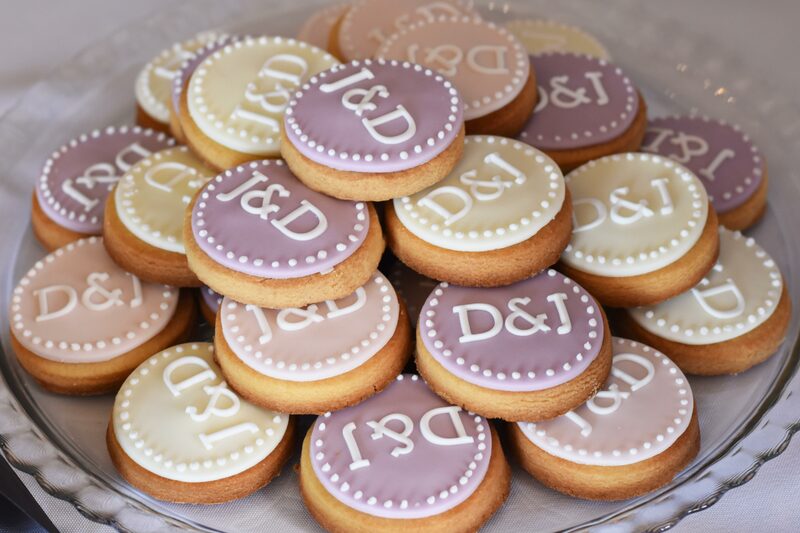 Jade & Dan married at Blackstock Country Estate, East Sussex. 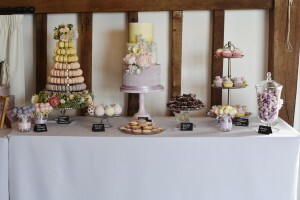 Jade had her heart set on a dessert table and wanted this to be the dessert for their 100 guests. 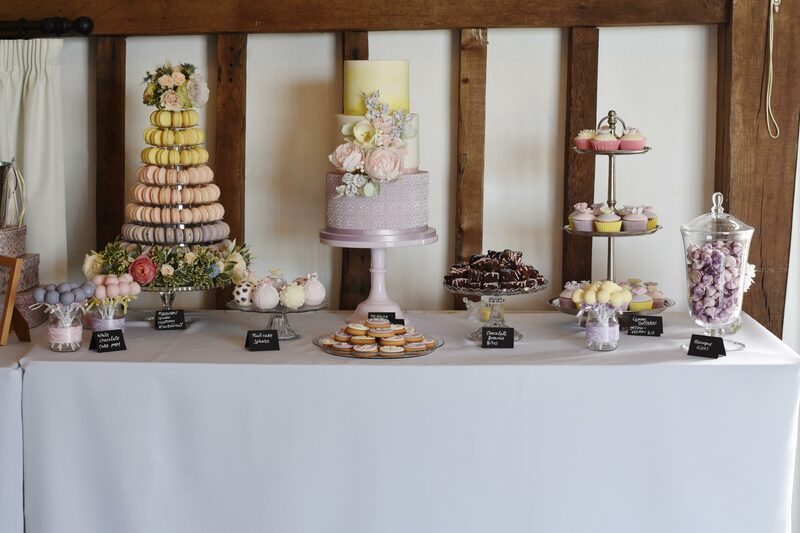 Together we designed this collection of sweet items and wedding cake which were all made from scratch and served as an afternoon tea style pudding on vintage cake stands. 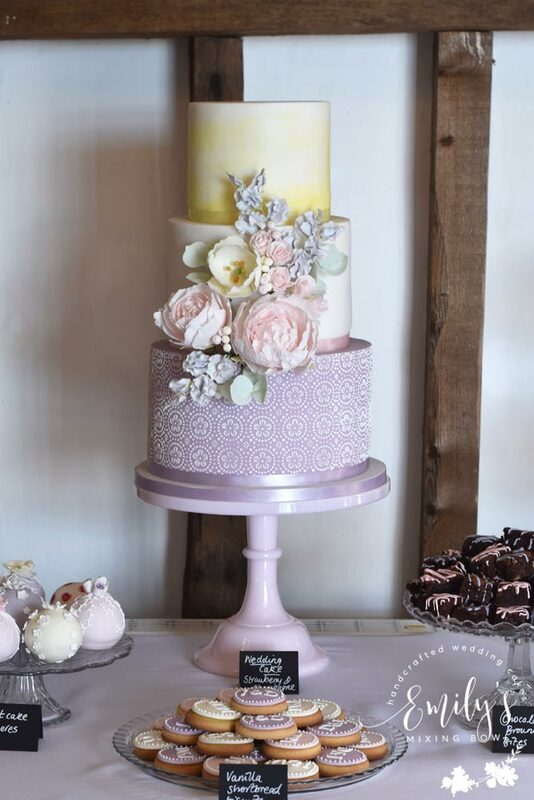 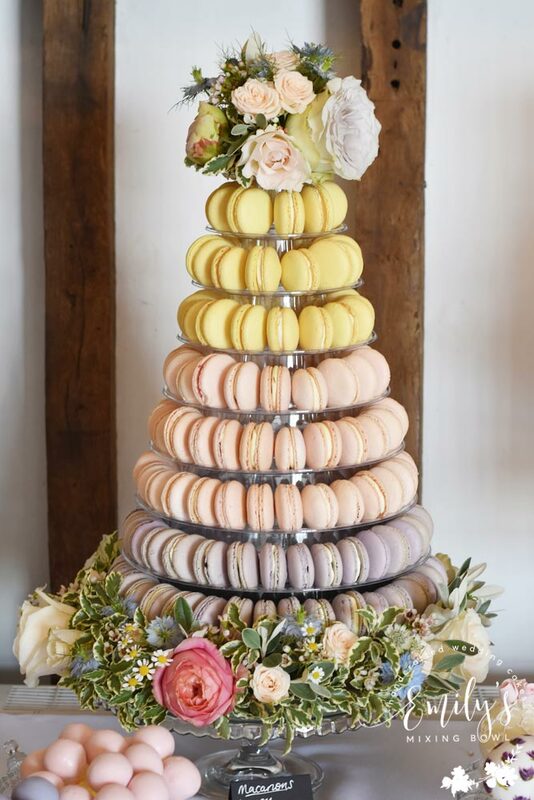 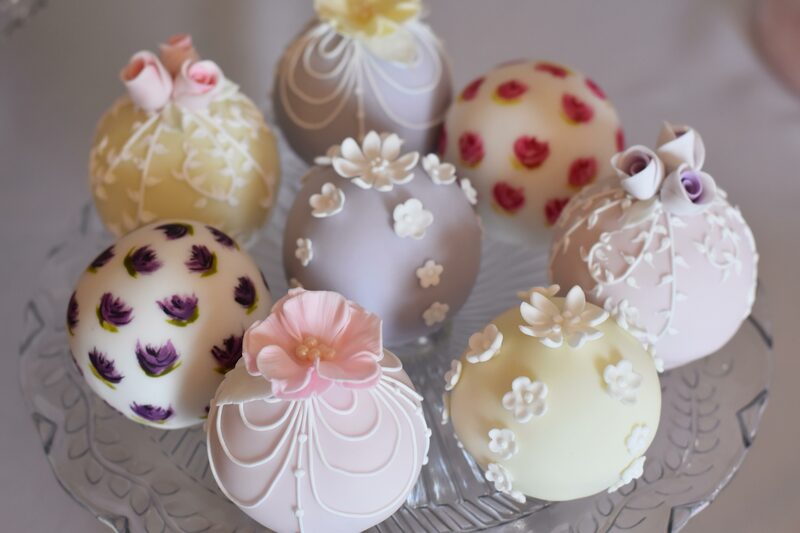 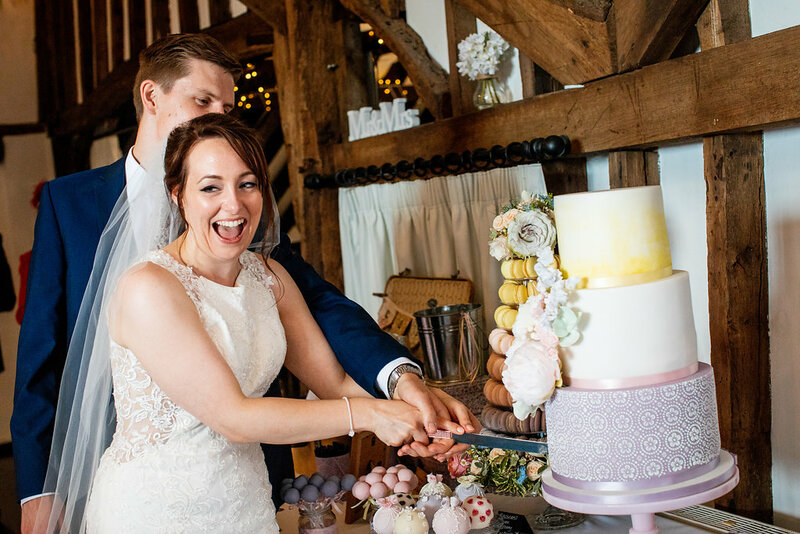 Jade & Dan had a 3 tier wedding cake, a macaron tower, iced shortbread biscuits, a selection of cupcakes, fruit cake spheres, meringues, brownie bites & cake pops, all decorated in their colour theme of pale lavender, yellow and pink inspired by the colours of sugared almonds.